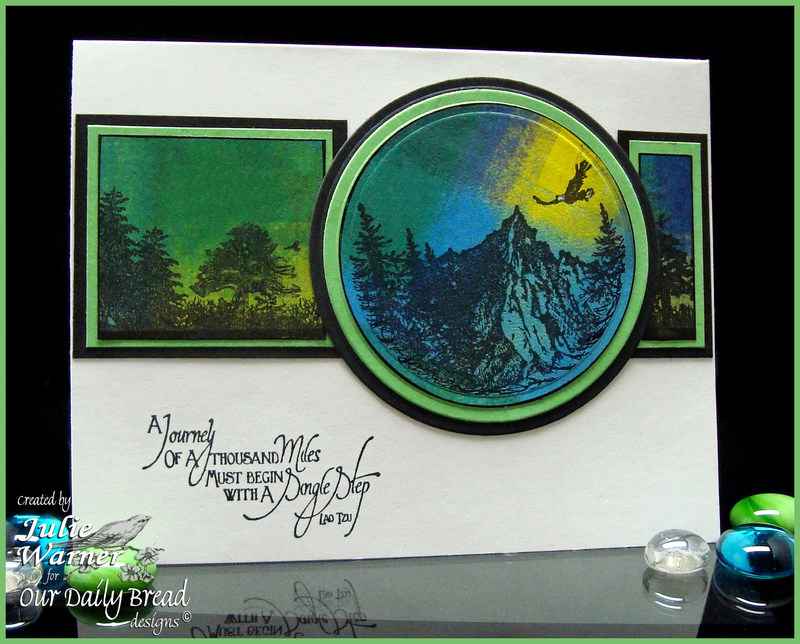 Congrats to Vicki, the Featured Stamper this week on Splitcoast (FS225)! Wonderful gallery and it was hard to pick, but I finally went with her Dear Santa card. 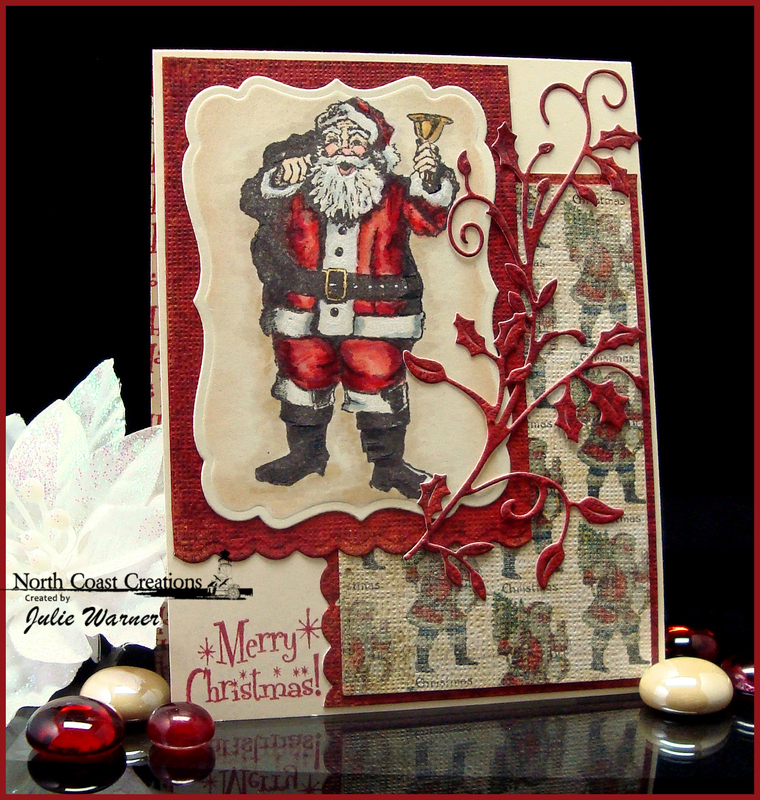 I kept the vintage style Santa and basic colors, but I changed the images, papers and added some layers. The images are from North Coast Creations (coming soon!) Santa was stamped w/ Memento espresso truffle and colored with copics. After die cutting, I left the die in place and sponged just a little of the desert sand ink around the inside edge. One edge on each of the red panels was cut with a Quickutz tiny scallop edge die. The sentiment was stamped on the lower left edge of the 4.25 x 5.50 ivory card using the rhubarb ink. I added a Cheery Lynn holly flourish for a little something extra. 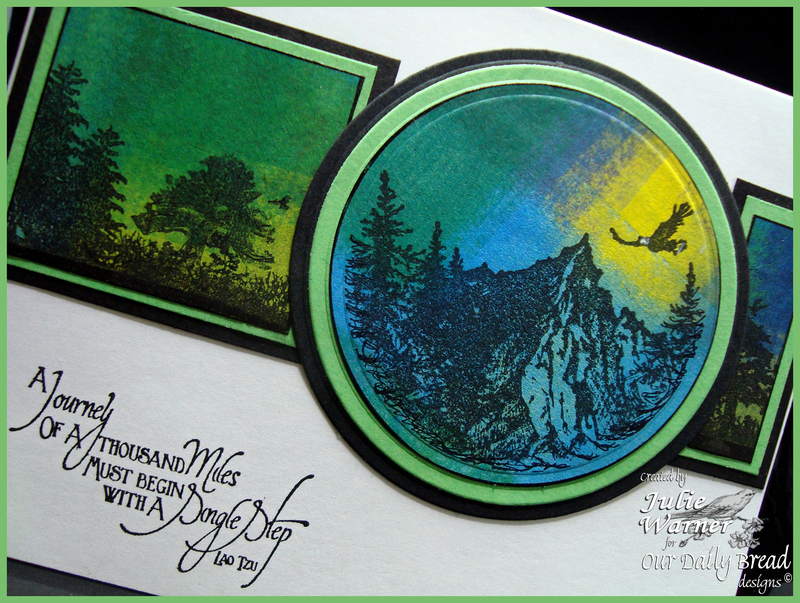 Congrats to Jackie (westie2), the Featured Stamper this week on Splitcoast (FS294)! What a fab gallery full of splendid designs! It was hard to pick just one, but I kept coming back to her You Make Me Smile. I was fascinated by the open holes and designer paper showing through. I kept the layout and design, but used different images, slightly different color and added a row of embossed dots across the center. I’m not quite sure how Jackie achieved the holey design, but I did the holes in the bottom of my card with a long reach 1/2 inch hole punch. Pretty simple. In place of her yummy drink image, I used a Sizzix/Tim Holtz Wish die. I die cut it out of a separate piece of white then die cut that w/ a Spellbinders classic oval. 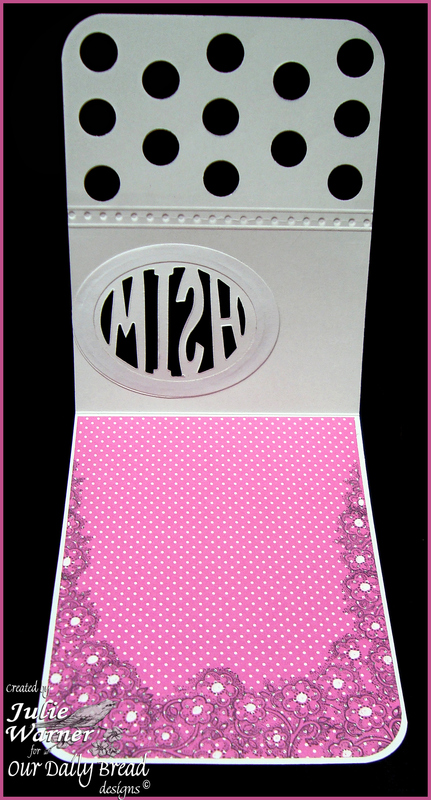 I also used the ovals to cut out the card front opening and a piece of the raspberry dotted paper. I attached the Wish behind the dotted paper then to the inside of the card. The images are from Our Daily Bread designs and the greeting was stamped on the front next to the oval opening. The paper on the inside was stamped w/ a little flower image and I filled in the centers w/ a white gel pen. The lower corners of it and the card were rounded w/ a lg corner rounder. Just to make the oval cut out a little neater, I attached a die cut oval ring on the inside. The finished card is 4.25 x 5.50. Congrats again, Jackie! Thanks so much for stopping by! Fun sketch today on Splitcoast (SC403)! Quick and easy to work with, so my card is CAS (clean & simple). The images are from Our Daily Bread designs. I die cut the circle out of some designer paper and with the die in place, stamped the main scene. The smaller scene from one of last month’s sets onto the strip behind it. I added a lt green and a black layer to both strips and the circle. The sentiment was stamped on the front of the 5.50 x 4.25 white card and the pieces were attached per the sketch.